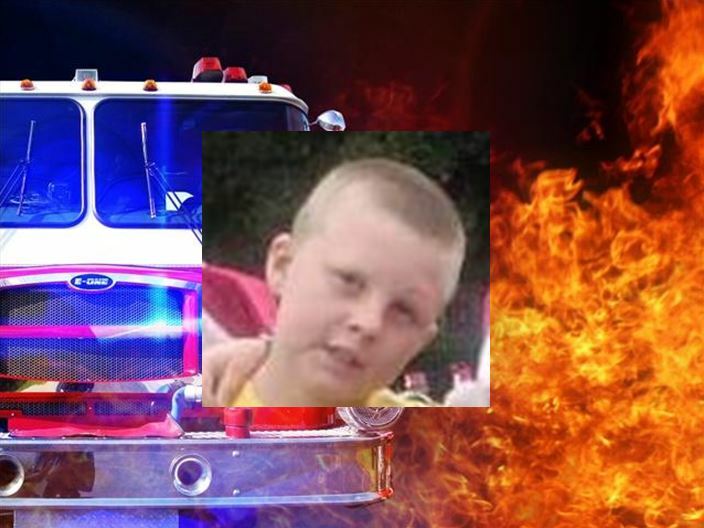 9-year-old James Atkinson Jr. died in fire. Hog Valley, Florida – Marion County Fire Rescue said when they arrived at a home located at 14675 NE 206th Lane, Hog Valley, it was fully engulfed in flames. Hog Valley is a small community located in the Ocala National Forest. According to reports, the boy’s father, James Atkinson Sr., was able to get his wife, Renee Atkinson, their son Skylar Atkinson, 2, and roommate Angelica Nowak out of the home. Tragically, Atkinson Sr. was unable to save their other son, James Atkinson Jr., a 9-year-old second-grader who attended Fort McCoy School. Atkinson Jr. died in the fire. Officials said that Nowak was in her room, smelled smoke, and went to the parents’ bedroom to wake them. The 2-year-old was in the room as well. Atkinson Sr. attempted to get everyone out of the house, but Atkinson Jr. was at the other end of the home and the fire was in the middle. When Atkinson Sr. could not get to his son from inside the home due to the intensity of the heat, he ran outside to the boy’s window and knocked it out. However, all of his efforts were unsuccessful. There have reports that the boy’s window was plexiglass that had been installed by the landlord of the home. Atkinson Sr. suffered burns on his feet and multiple cuts on his hands from trying to knock out the window to save his son. Fire crews said propane tanks that were stored in a nearby shed exploded during the fire, which hindered the father’s efforts. The State Fire Marshal said the cause of the fire is unknown and its still under investigation. Friends of the family told Ocala Post [they] had just moved to the area from Port Orange. Ocala Post did not attempt to contact the family during this tragic time.